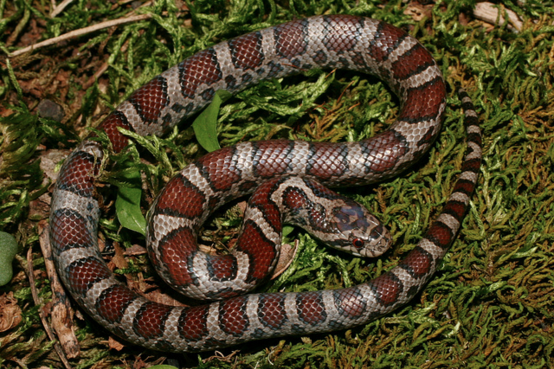 Description: The milksnake grows to be considerably larger than its close relative the scarlet kingsnake. 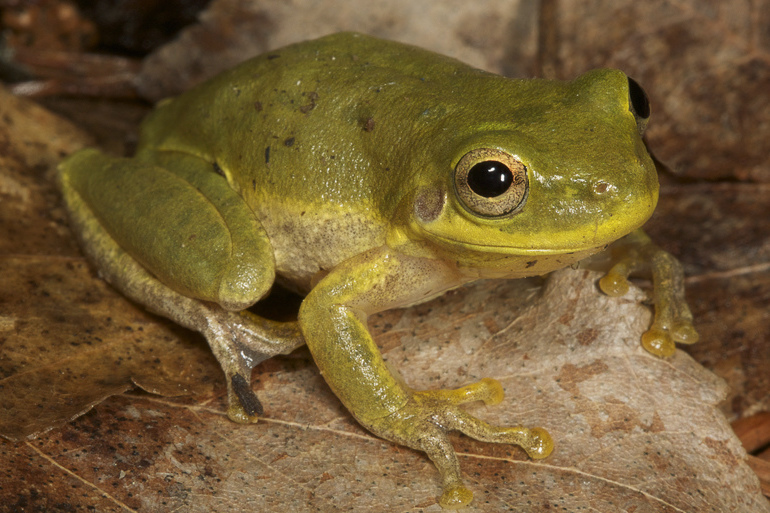 It is usually gray or brown with darker brown or reddish blotches on its back, but these colors are highly variable. Milksnakes and scarlet kingsnakes are known to interbreed in regions where their ranges overlap, which results in even more variation in patterns. Feeding/Diet: Scarlet kingsnakes and milksnakes are constrictors and eat small snakes, lizards, and mice. 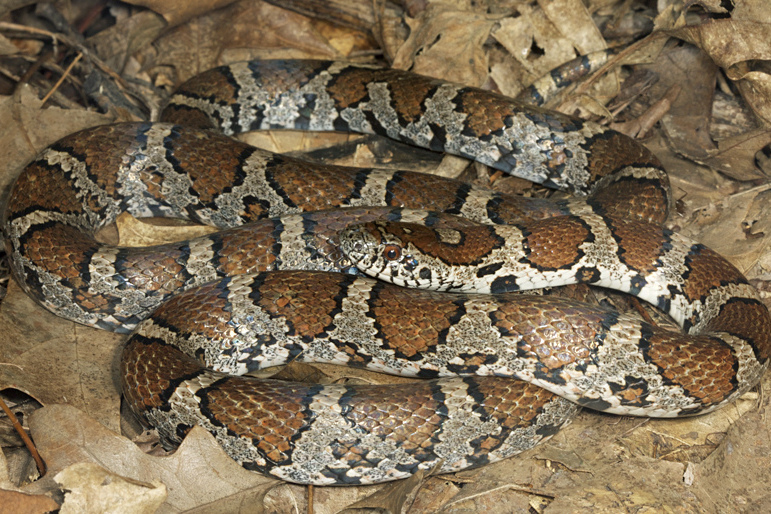 Habitat and Range: Milksnakes live in wooded slopes and grassy fields in the mountains and are frequently found hiding under large stones. 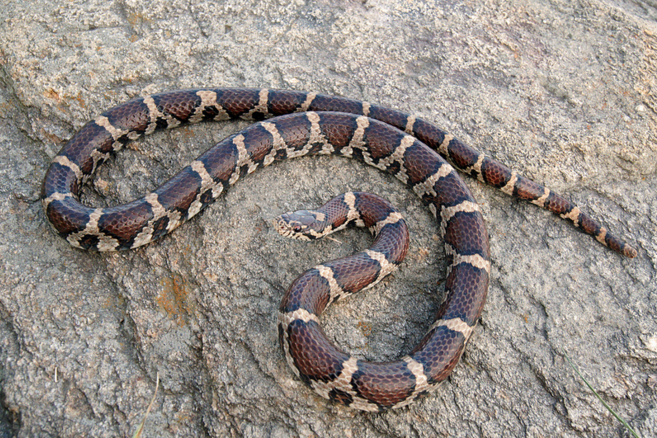 Miscellaneous: The common name of the milksnake is derived from the belief that these snakes milk cows. Although they are frequently found in barns searching for rodents, stories about their “milking” capabilities are purely myth. 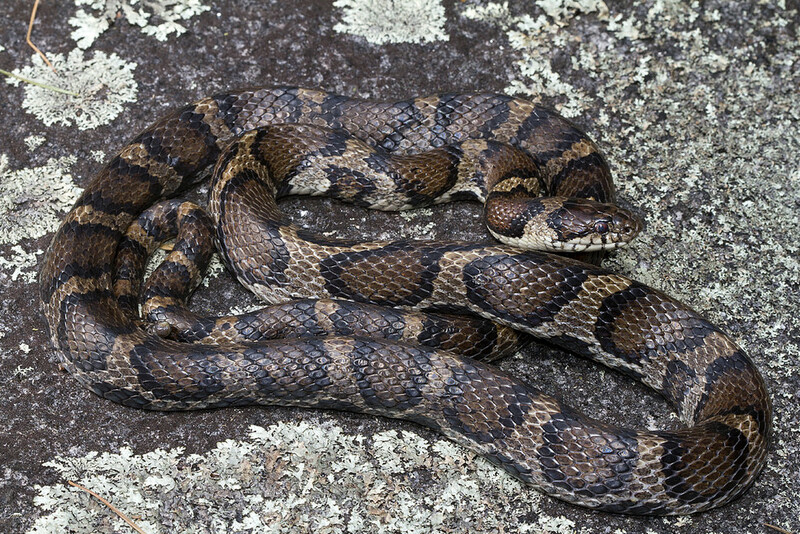 The shaded region represents the range of the eastern milksnake in North Carolina.